Tail End Of The Economic Expansion, Or Is It The Beginning? Stocks and crude oil have led the bounce back this month. And we’re now getting more broad-based participation as market and economicsentiment rebounds. Global stocks are rising, and commodities are rising. Let’s take a look at some key charts as we end the week. 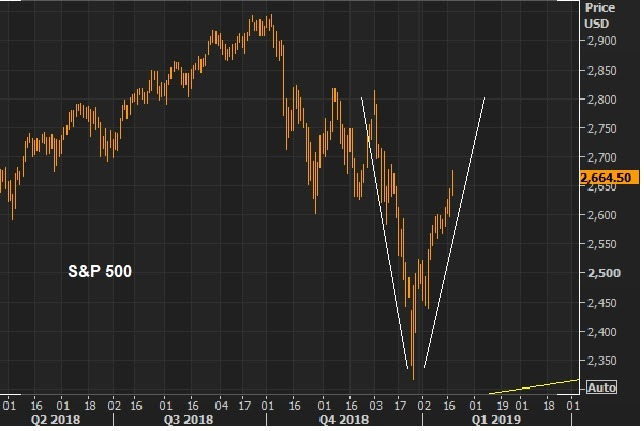 Stocks continue to make this V-shaped recovery. A return to the December 3rd highs is another 5% from here. Remember, oil and stocks have been in a synchronized decline since October 3. 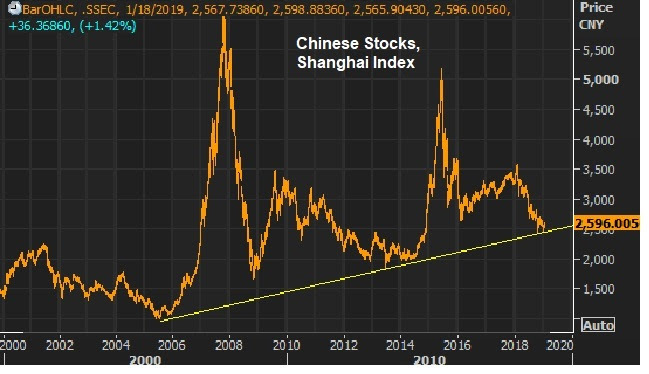 The farther the fall (in both), the higher the rise in fears about deflationary pressures, prospects of an economic downturn and maybe even a financial crisis. But the tide has turned. And it was triggered by both Fed and Treasury actions. 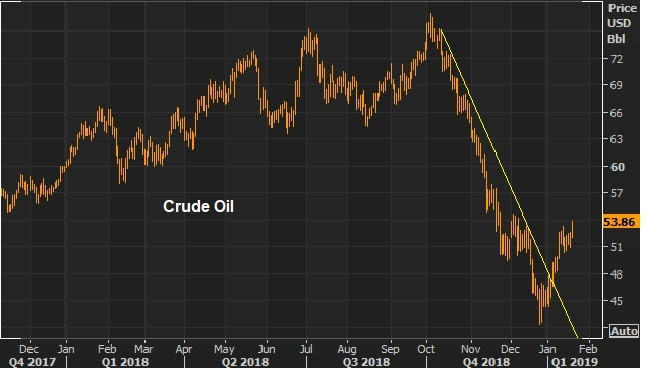 With that, as we’ve observed in this oil chart in recent weeks, the big break of the downtrend has unleashed what could be a very sharp rebound (maybe a V-shaped recovery for oil). Keep in mind, at $76 oil we had an undersupplied market in a world with growing global demand. At $42 oil (the low), the fundamentals for much higher oil prices had only strengthened, with OPEC coming back to the table with more production cuts. 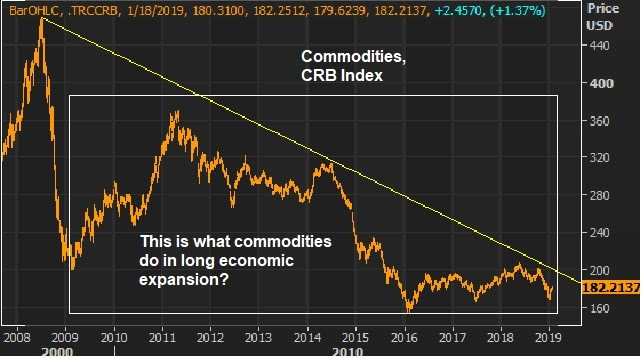 Now, with reports that China is coming to the table with big trade concessions, commodities are beginning to reboot. A trade deal may unlock a real global economic boom. While it might appear that China will be a big loser in any trade deal with the U.S., relative to where they stood Pre-Trump, being forced to move toward a balanced domestic economy, and fair trade, would position China to be a legitimate long-term player in the global economy.